Postales Inventadas/ Making up Postcards: 1599. 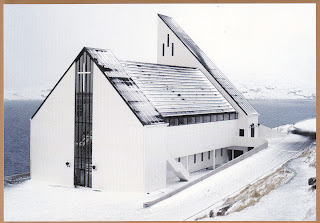 Fríðrikskirkjan, Nes, Eysturoy, Faroe Islands. 1599. Fríðrikskirkjan, Nes, Eysturoy, Faroe Islands. a strong sense of community with a unique touch of individualism.